A new report on the state's death penalty system published by the ACLU of Northern California catalogs numerous intractable problems and waning public support which may lead to the end of capital punishment in the state. According to the report, "California's Death Penalty is Dead: Anatomy of a Failure," the death penalty in California is being slowly abandoned as prosecutors, legislators and taxpayers are increasingly turning to life in prison without parole as an alternative punishment. Only three death sentences were imposed in the state between January - June 2011, a significant decline compared to the same period last year when there were 13. This marks the lowest number of new death sentences within a six-month period since the death penalty was reinstated in 1978. 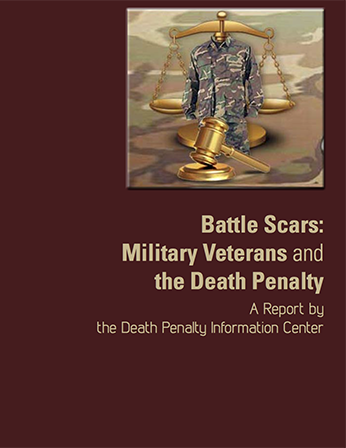 The report also highlights that voters in the 2010 election opted for officials who supported replacing the death penalty over those who aggressively campaigned in favor for the death penalty. A 2011 poll revealed that 63% of likely California voters supported commuting all existing death sentences to life without parole, thereby saving the state hundreds of millions of dollars. The commutation proposal received support from respondents across political party lines and from all regions of the state. Among the problems highlighted in the report are the enormous costs of the death penalty, the long delay in assigning lawyers for death penalty appeals, and the absence of any meaningful return for all the resources spent. Read full text of the report here. Twenty-seven people were exonerated and released from prison this year, including some who had been on death row, according to a new report from The Innocence Project, a national litigation and public policy organization dedicated to exonerating wrongfully convicted people. The 27 exonerees served a combined 421 years in prison for crimes they did not commit. The exonerations occurred through the work of the Innocence Project Network, which consists of 54 organizations, including 45 in the U.S. The Innocence Project concentrates on wrongful convictions and uses DNA testing, while also promoting reform of the criminal justice system. (Click on the thumbnail to access full text of the report.) The most recent person exonerated was James Bain, who was imprisoned for 35 years before DNA testing revealed that someone else had committed the crime that led to his conviction.